Moving the contents of a house can be a daunting task but the true extent of the daunting-ness sometimes doesn’t become apparent until it’s too late. You’re used to the stuff in your house and to you it doesn’t look like you’ve got a lot of “ stuff “ Will it all fit in a small rental van? … yeah of course it will after all you’re not taking the fridge or the washing machine and you’ve got rid of a load of stuff at the local charity shop. Right? …. wrong. Have you ever heard this phrase or maybe said it yourself? “We’ve got a lot more stuff than we thought “ That’s not a phrase you want to be saying on the day before your move when the van’s booked and you’ve got people moving into your house the next day. Don’t focus on things you’re leaving behind, focus on what you’re actually taking. Come on now you can’t possibly pack everything the day before the move, you’ll never get it all done properly and you’ll be starting your moving day already worn out. Do a little bit at a time in the weeks leading up to the move. Box stuff up and label the boxes. Which brings us to labelling boxes, it’s a simple thing but one that’s all too often forgotten. Don’t just write on the boxes what’s in the boxes; write which room they need to go in at the new house. Do this and your moving guys will just get on with it and all your boxes will end up in the right place. Simple, no? You’re not booking a last minute getaway here; this is an important day and needs planning in advance. Some people still think that if they book their moving firm at the last minute they’ll get a last minute bargain when the reality is they’re more likely to be told that the moving company are fully booked. Now you’re into ringing around trying to book anyone you can find or doing it yourself – see point 1. You’re going to take all that stuff you haven’t used for years to your new house? Really? Get rid of stuff you don’t need well in advance of your move. Sell it, donate it, bin it but don’t add to the workload by packing and moving things you haven’t used since Christmas 1986 just to put them in a cupboard in your new house and forget about them. These are all too often overlooked when planning a move but outbuildings and lofts can hold a surprisingly large amount of stuff. You’ll have tools, lawnmowers, bikes, barbecues, camels ….. ok maybe not camels but a lot of stuff anyway and that loft you haven’t been in for years but kept chucking stuff up there… maybe you should go up there and take a look, you might be surprised ….. and we haven’t even mentioned the garden furniture ….. and all those pot plants outside ……. 7 – You Did Measure The New House.. Didn’t You? You’ve picked out the places in your new home where your furniture’s going to go and yes, the sofa will look great in that alcove but have you actually measured it? With a tape measure? Not “it looks like it will fit “measuring or “I’m sure it will fit “measuring but actual measuring with a tape measure? While you’re at it measure the doors as well to make sure your stuff will fit through them and go round any tight corners. Will your wardrobes fit up the stairs? Well you must have got up the stairs at your current house …… hang on ….. didn’t you build that wardrobe in the bedroom it’s in now? Whoops ….. you might want to check that. If you can, clean your new house before you fill it with furniture or even better get somebody in to do it for you. It’s so much easier to clean a house when it’s empty and you don’t really want to be cleaning the skirting boards the day after you moved in do you? Yes you need to pack everything that needs to be moved but you’re also going to need a “survival kit “on moving day. Have one box that you can keep with you and take in your car to the new place. You’ll need a kettle and hot drink making stuff, cold drinks, sandwiches, phone chargers, a list of important phone numbers, keys and anything else that you’re going to need on hand that you r really don’t want to hunting for. At your new home get the beds in, built and made first then if everything else goes wrong you’ve at least got somewhere to sleep. There’s nothing worse than moving house, building furniture that had to be taken apart, unpacking all those boxes and setting everything up and then having to make the beds, literally. Book your moving company well in advance to make sure they’re available on the day of your move. Don’t leave it until the last minute or you may find everybody is fully booked. 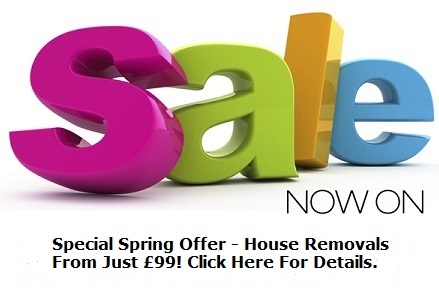 Get rid of as much clutter as possible rather than taking it with you to your new home. If you’ve got stuff you don’t need sell it at car boots or in the local free ads or on line with sites such as eBay. Turn your clutter into cash rather than paying to move it. 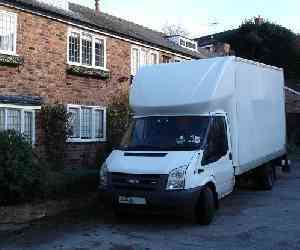 Try and organise your removal for mid-week when removal firms are quieter. 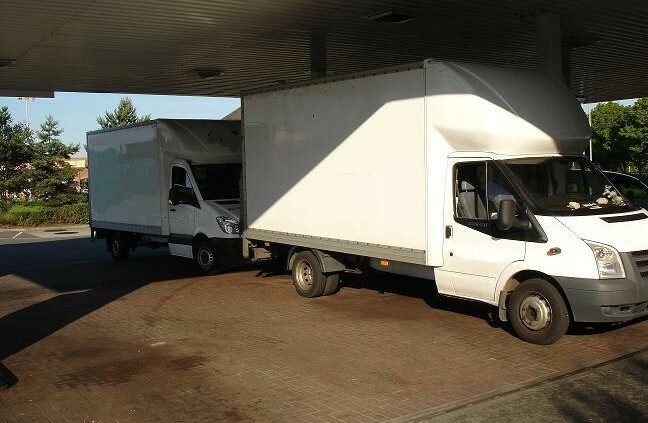 Fridays are the busiest day of the week and if you avoid them you stand a better chance of booking your removal company of choice. When all those boxes are at your new house unpacking will be so much easier if you’ve labelled the boxes with the room they need to go into and the contents. Make sure you’ve informed the relevant utility companies about your move and take meter readings on the day of the move. Try and keep chargers for phones, laptops ets to hand so you can keep your electricals fully charged, you might be using them more than usual on moving day. Who Needs To Know You’re Moving? Phone and internet companies, banks, building societies, employers, schools, credit card companies, DVLA etc. will all need your new address. If the children are at home on moving day try and get somebody to look after them, maybe you can get the grand parents or other family or friends to help out here. Moving day can be stressful for pets too, if you have somebody that will look after them for the day then do that. Consider having your new boiler serviced and consider taking out cover with a repair company such as British Gas to avoid any nasty surprises early on in your new home.